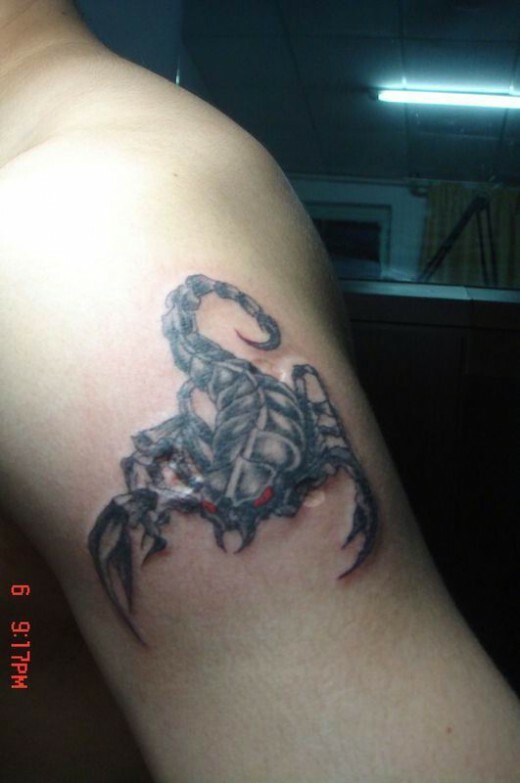 A 3d tattoo design with a real sting in the tail, ya gotta be lovin this amazin scorpion tattoo. 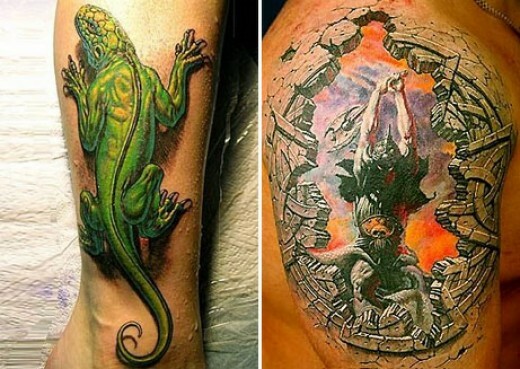 You decide which of these two 3d tattoos ya prefer, moi, I likes that green lizard, kinda am a reptile fan. 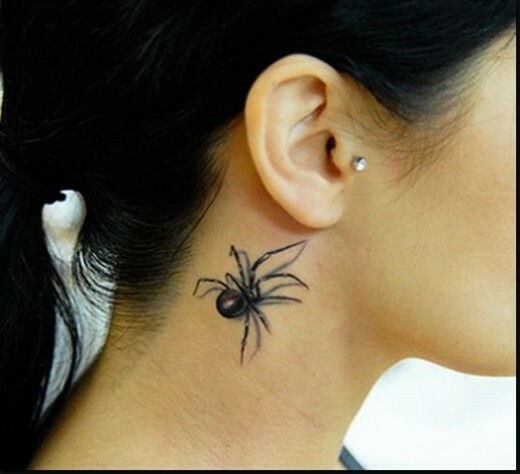 OMG this one wud scare the life out if me if I woke up beside her, yeah rite, I wud die to wake up beside that chick ! 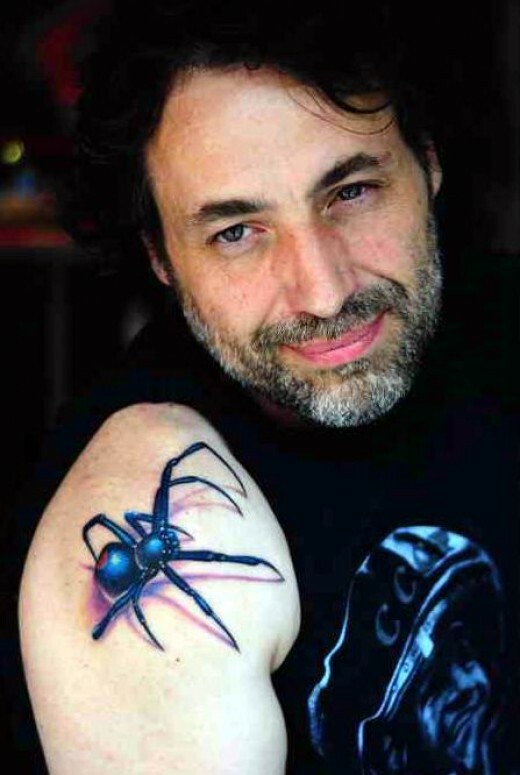 Must say this 3d tattoo design actually looks like a real spider on his arm, not that I have seen many blue spiders, have you ? 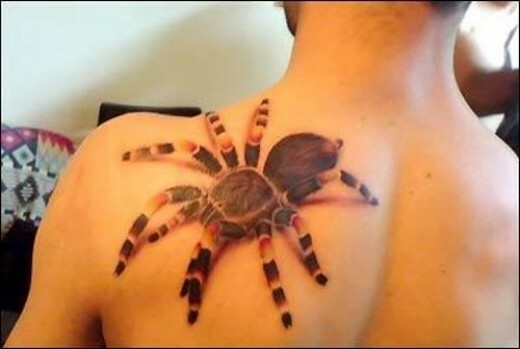 Oh dear, this tattoo made me laugh, in fact it had me in stitches ! 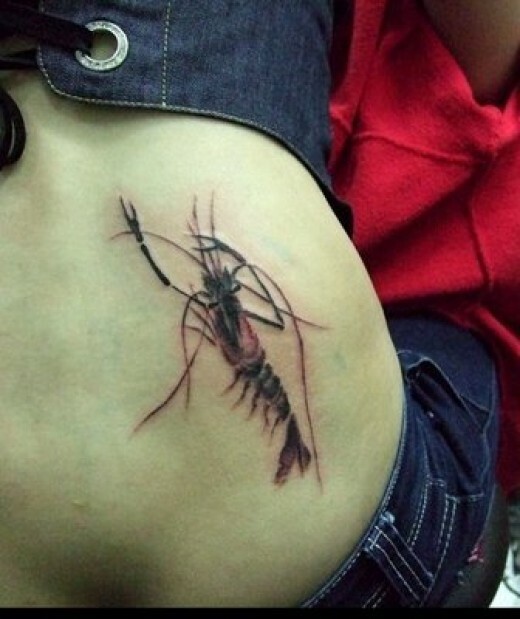 I loves this 3d tattoo but is it just me or is it a bit weird to get a lobster tattoo, like come on ! 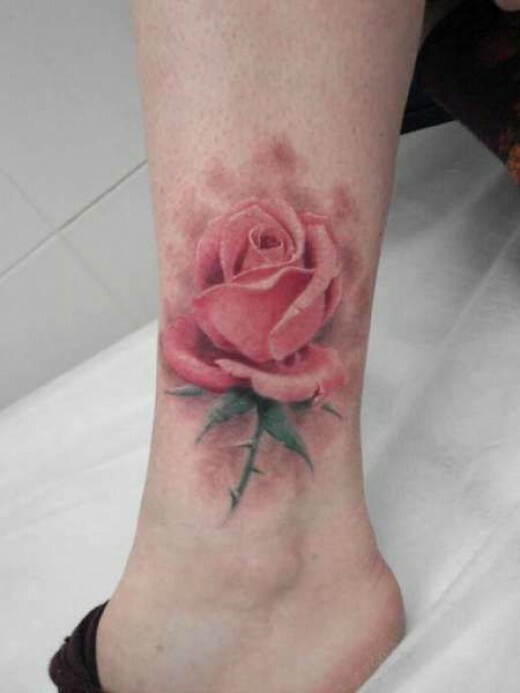 Doncha just love a nice 3d pink rose on yer leg, I wonder if I shud get one for wen I crossdress at the weekends. 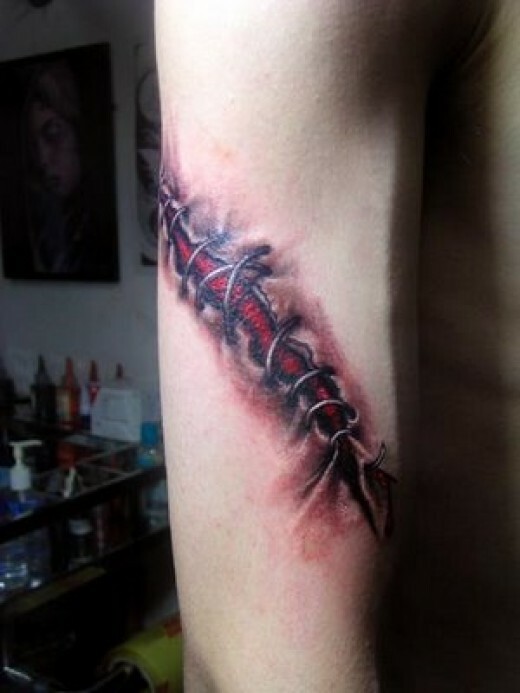 Jeeeez now this is wat I call a 3d tattoo design, that is almost as big as spiderman himself. 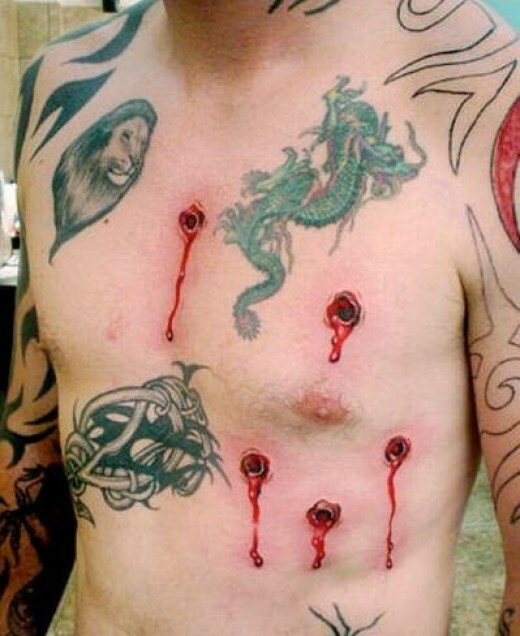 Jeeez some mornings after a drink I wake up feelin like someone has shot me but this is ridiculous ! 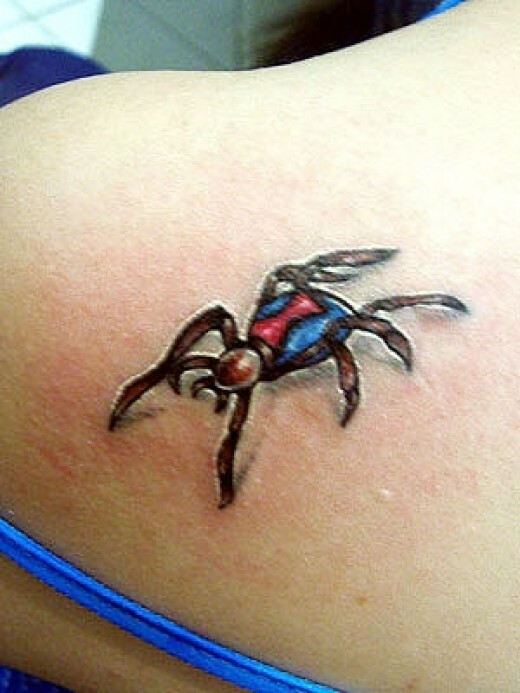 Is this a spider or a bug, anyways I thought all females were big girls and hated spiders, " all females are big girls ya dipstick "
Wat can I say, I loves this 3d tattoo, I once had a pet ladybird wen I was a kid, it flew off on me ! 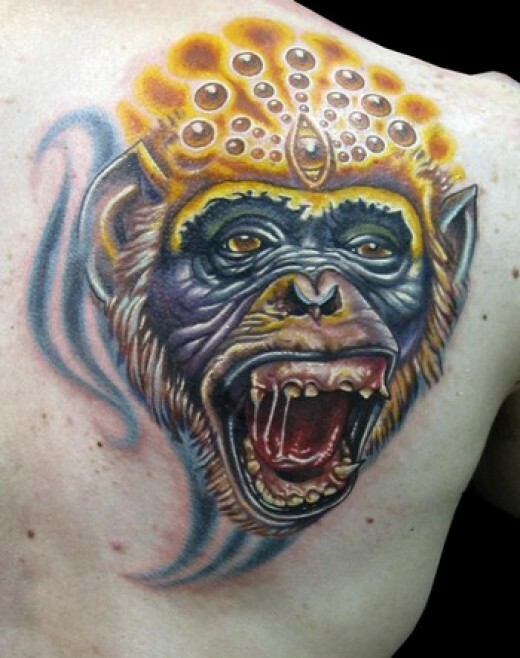 Jeeez I have heard the old sayin havin a monkey on yer back but hell this is takin that sayin a bit too far ! 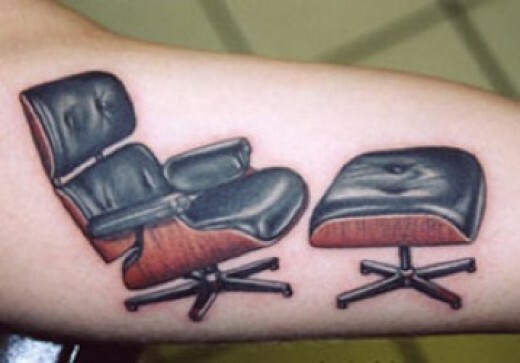 Now I am a lil crazy myself but who to hell gets furniture tattooed on their body, am I missin out on a new cult ? 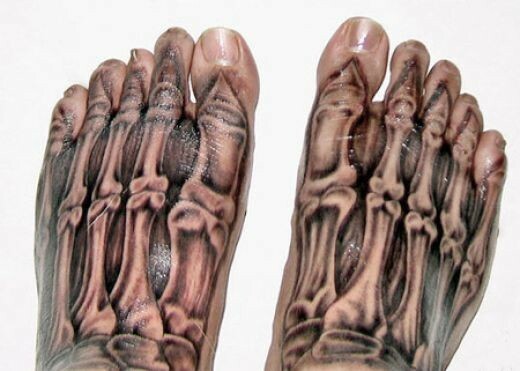 OMG I really hate this 3d tattoo design, I hate feet enough but this is just gross ! 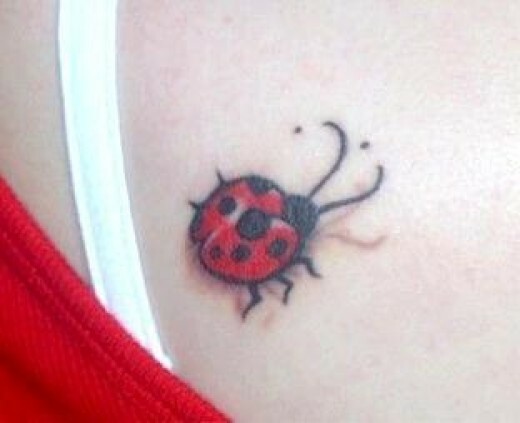 One of my fav 3d tattoos is this slinky back laden with butterflies, how I wish I was a butterfly collector !